The beast from the East has been vanquished, and - once we get ride of its smaller sibling - we'll soon be able to look confidently at Spring. And that will mean only one thing: the party season is almost upon us. All across the land tours are beginning to opening up, festivals are making their final plans, and fans are itching to fill up their calendar with fantastic music event. The prolific dub-reggae collective headed by Bonjo Iyabhinghi Noah and producer Adrien Sherwood bring their show to Manchester’s Band on the Wall. You can expect top-class musicianship alongside wild visuals in a heady mix of electronica, reggae and reverb-laden dub. The floor is sure to vibrate with rousing basslines paired with intricate electronic soundscapes supplied by myriad collaborators. The group don’t tend to play live that often, so this is a rare chance to see them in a very intimate venue before they release a new record. Support comes from Nick Sinna, whose monthly NTS shows exploring minimal dub and electro have certainly garnered attention. Rocky Birmingham band with bonkers name Sunshine Frisbee Laserbeam have a headline show at legendary Kings Heath venue Hare & Hounds. They are supported by three groups with equally droll names: Leeds band Possum, Nonsuch and Coffee Breath. What better way to herald the arrival of spring than with a sweaty, intimate show at a small venue? (It’s good-value too.) Fuzzy riffs will abound along with, as you’d expect, lots of witty humour and a general atmosphere that will extol the virtues of not taking yourself too seriously. Get an advance ticket now! 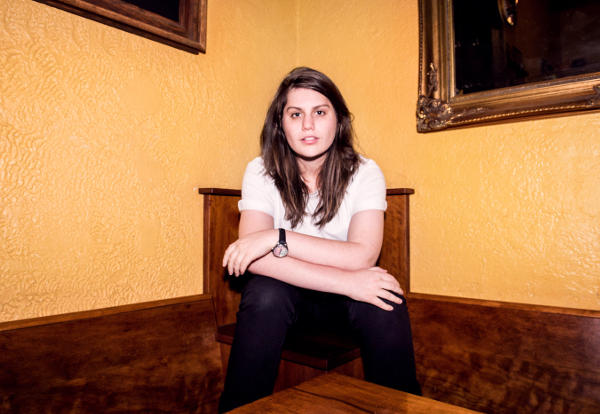 Australian songwriter Alex Lahey comes to Think Tank? in Newcastle. The Dead Oceans signing, who has been strongly praised by outlets such as Pitchfork, SPIN and Australian institution triple j, last came to the UK in November, but the venues are increasing in size to host her burgeoning fanbase. It’s no surprise when her sound is so imbued with hooks and catchy melodies all couched in grit, avoiding the saccharine. Catch her at what might well be one of her last smaller shows in the UK for a while. This month’s Clash Live is a good one: up-and-coming jazzy Soul Singer Poppy Adjudha teams up with Hak Baker at Metropolis Studio A. Baker has racked up a lot of views for his serene appearance on COLORS last November. Read our interview with him here. Poppy Adjudha has been tipped by publications such as The FADER, gal-dem and i-D. Read our interview with her here. It’s a free gig in an intimate space with two artists who revel in the personal and the political and are sure to go onto big things this year. Don’t miss it. Liverpool Disco Festival returns at the end of March for its celebration of all things dance with an emphasis on hotspots NYC and Chicago. Headlined by House don Kerri Chandler, the bill also includes pioneers such as John Morales. It marks an early beginning of festival season after last October’s third edition and is set across several venues in the city’s Baltic Triangle. This is very likely to sell out, with second release tickets almost gone. Resident Advisor drew attention to the festival’s ‘effervescent’ crowd which is sure to wildly appreciate such a stacked line-up. There’s a very special event happening in SE17 on March 31st… Detroit head Juan Atkins will take to the stage last at some point before 6am in what promises to be a highly focussed, exhilarating affair. He’s joined by another legend in the scene, New Yorker Frankie Bones, who will give the Corsica Studios crowd their euphoria fix. Across two rooms, the venue also hosts Robin Ball, a key figure in Memory Box, as well as Memory Box’s Acid Rave, so you’re absolutely spoilt for choice. It’s selling quickly, and you’d be best advised to snap up a ticket soon. Terminal V Festival is Scotland’s biggest music festival, but the line-up doesn’t exactly suffer as a result, with Kölsch, Bicep (DJ Set), Mall Grab and Peggy Gou featuring among others. It promises an 11-hour party alongside 8000 people which is sure to banish the cobwebs and keep you busy this Easter Sunday. The event was a roaring success last year, and Nightvision have taken the reins of Edinburgh electronic scene very effectively. This is, unsurprisingly, a popular event, but it’s also quite rare to have such a big line-up north of the Border. Liverpool clubnight 303 have got greedy with their birthday celebrations, dragging them out across the whole year, but when Bedrock boss John Digweed and dreamy synths from Patrice Baumel are on the line up you can forgive them their indulgence. The action takes place in the Invisble Wind Factory, the landmark space of the city's bustling Ten Streets district in the docklands area, which means the sonorous sonics will be matched by killer production and next level art installations.